COOPERSTOWN - George W. Smith, Jr. died peacefully Wednesday, December 23, 2015, at St. Francis Hospital in Tulsa, Oklahoma, after a brief illness. George was born March 10, 1930, in Delhi to George W. Smith and Viola Freidenstine Smith. He spent his early years in Delaware County, and began his education in the Rock Valley and Goulds schools where both of his parents were teachers. He moved to Cooperstown with his family in 1945 when they relocated to establish cauliflower farms in the Pierstown area. During his last two years of high school George distinguished himself as a three-star athlete in football, basketball and baseball under the tutelage of "Red" Bursey. As quarterback he led the 1947 football team through an undefeated season and often recalled, "beating Oneonta in the snow." George-along with his teammates-was recently inducted into the Cooperstown Central School Athletic Hall of Fame. George attended Springfield College for two years before enlisting in the Air Force where he proudly served his country for four years during the Korean War. In 1956 he moved to Colorado where he completed his education at the University of Colorado in Boulder with a degree in economics. Upon his graduation he went to work for UNIVAC and began his career as a sales representative on "the cutting edge" of the computer industry. He married Lona Smith October 7, 1967 in Denver, Colorado and the couple moved to Los Angeles, California, where George became sales manager for Systems, Science, and Software. In 1973 George returned to his hometown of Cooperstown to take over the operation of the family dairy farms. In addition George and Lona opened and operated Summerwood Bed and Breakfast in Richfield Springs from 1984-2000. When they sold Summerwood, George and Lona returned to live in the farmhouse on top of the hill on his much loved Tanner Hill Farms. In recent years George and Lona spent the winter months in Florida. George loved to travel and meet new friends. The Cooperstown United Methodist Church was his church family for most of his life. He was a lifetime member of the Sgt. Walter P. Eggleston Veterans of Foreign Wars Post No 7128 in Cooperstown and a member of the Glimmerglass Festival Guild. He is survived by his wife, Lona, of 48 years; sister Kathryn Smith Mollach; nieces Jennifer Mollach Rice (Steven) and August, Patricia Mollach Cassidy, Martha Mollach Stackhouse (Kendal) Julia and Matthew; sister-in-law Sue Parkinson; sister-in-law and brother-in-law Wilda and Jim Metzdorf; niece Amy Metzdorf-Hill (Justin Hill) and Jasmin Hill; his extended Butler family; special friends Cal, Bob, Richard, Herman, Patrick, Wayne, Jason, and Nick; and many long-time friends in Denver and Los Angeles and across the country. George was predeceased by his parents George W. and Viola Freidenstine Smith, and his brother-in-law, Francis (Les) Mollach and nephew Douglas Lundquist. There will be a memorial service honoring George's life in Cooperstown in the Spring of 2016. COOPERSTOWN - Barbara Fort Dorsey, 88, of Cooperstown, died peacefully Friday, December 18, 2015, at Bassett Medical Center in Cooperstown, surrounded by her family. Born March 14, 1927 in Utica, Barbara was the only child of Margaret (McKenny) William Lapham Fort. Raised in Douglaston, Queens, she studied English at Marymount College in Tarrytown. She married John David Dorsey June 10, 1950, in St. Anastasia Church in Douglaston. The couple raised a family in Ridgewood, New Jersey, where they lived for four decades. Barbara moved to Cooperstown in 1991, a community she proudly adored. She resided on Nelson Avenue and more recently at The Clara Welch Thanksgiving Home. She was a devoted parishioner of St. Mary's Roman Catholic Church, where she was a Eucharistic Minister and a member of the Bereavement Committee and the (St.) Mary Widows. She was a volunteer at Bassett Medical Center and belonged to the Glimmerglass Opera Guild, the Women's Club of Cooperstown, and the Dinner Belles. She was also an active member of the Daughters of the American Revolution and the Princeton Club of New York. Barbara was an avid tourist, travelling widely in Europe and Asia. She was a lover of animals, making a home for many a needy feline, one of whom, Pippen, was locally famous for her escapades. She was a lifelong fan of the New York Yankees. Above all, Barbara devoted her life to her cherished family. She is survived by her four children, Jean Dorsey Cramer and her husband, William, of Cooperstown, Meg Dorsey of Auburn, California, John Fort Dorsey and his wife, Kara, of Cornwall and Amy Dorsey of Fort Collins, Colorado; her six grandchildren, Samuel Cramer, Matthew Cramer, Elizabeth Cramer, Alex Roehrkasse, Maria Roehrkasse, and Julia Thorbjornsen; and her two great grandchildren, Zoë Cramer and Benjamin Cramer. She was predeceased by her husband, John. Visitation hours were held at Connell, Dow & Deysenroth Funeral Home in Cooperstown on Sunday, December 20, 2015, from 4-6 p.m. The Liturgy of Christian Burial will be celebrated at St. Mary's "Our Lady of the Lake" Roman Catholic Church in Cooperstown, Monday, December 21, 2015, at 10 a.m. In lieu of flowers, please send donations to the Susquehanna Animal Shelter, 4841 State Highway 28, Cooperstown, NY 13326. COOPERSTOWN - Leah Maxine Henry Waits, 97, of Cooperstown, New York, formerly of Springfield, Ohio, passed away on December 14, 2015 in Cooperstown, New York. Born to the late Lucinda (Lula) Hubbard Henry and Carl Henry of Chicago, Illinois, August 6, 1918, in St. Louis, Missouri, Leah graduated from Milan High School in 1938 and attended Trenton Junior College, now North Central Missouri College, Trenton, Missouri. Upon her marriage to Harold L. Waits (deceased, 1991) in 1942, and relocating to Ohio, she raised two daughters and was employed as a budget analyst at Wright Patterson Air Force Base. She retired in 1984 after twenty-five years of service. She was a member of First Christian Church in Springfield, Ohio, for almost seventy years. Leah was the founding member of Springfield Chapter of Beta Sigma Phi Sorority, 1945, a volunteer for the Springfield Symphony, and a member of the Clark County Historical Society. Leah was a devoted mother and homemaker who enjoyed her children, grandchildren and great grandson. She is survived by her two daughters and sons-in-law, Pamela and Philip Washburn of Cooperstown, New York and Penny and Martin West of Ligonier, Pennsylvania; four grandchildren, Matthew and John Washburn, Jane and Benjamin West (Karen Crowther); one great grandson, Alexander M. Washburn; and many wonderful and attentive cousins of St. Louis, Missouri. Her optimistic and generous spirit will be missed by all who knew her. Arrangements are with the Connell, Dow & Deysenroth Funeral Home in Cooperstown, New York. HARTWICK - Mary E. Higgins, 61, of Hartwick, passed away December 14, 2015, at Bassett Medical Center in Cooperstown with her family by her side following a long illness. Born December 26, 1953, in Emmetsburg, Iowa, Mary was one of nine children of James H. and Kathleen M. (Healy) Millea. She graduated with the Class of 1972 from Cooperstown Central School. She was first employed for the IRS in lower Manhattan. In the 1980s she owned and operated The Hub Coffee Shop and General Store in Hartwick. She then worked for the Otsego County Sheriff's Department until 1994, at which time she became employed by The Leatherstocking Corporation where she worked until very recently. Mary met Orrin D. Higgins at a dance at the Fly Creek Hotel. The pair was a perfect match and they were married July 29, 1974, in a ceremony at St. Mary's Catholic Church in Cooperstown. Mary's greatest joy was spending time with her children and grandchildren. She loved being outdoors and building campfires on the hill. She learned to play the piano with her dear friend Linda, practicing yoga and Zumba, and Irish Step Dancing. She is survived by her loving husband of 41 years, Orrin of Hartwick; three daughters, Brenda Nass (Bryan) of Ellensburg, Washington, Tamara Ashley (Matt) of Cortland, and Carrie Higgins Lorenz (Mike) of Hartwick; son Orrin D. Higgins, Jr. (Melissa) of Hartwick; special member of the family, Paige Shaul; and four grandchildren, Mitchell and Morghan Nass of Ellensburg, WA and Lily and Sawyer Higgins of Hartwick. She is further survived by her seven brothers and one sister and their families: Thomas Millea (Carole) and Denis Millea (Janice), all of Peru, NY, James Millea of Scottsdale, AZ, Joe Millea (Susan) of Yacolt, WA, Pat Millea (Wendy) of Maryland, NY, Mike Millea of Hartwick, NY, Robert Millea (Sukena) of Atlanta, GA, and Eileen Murdock (Bob) of Hartwick; and her father, James Millea of Hartwick. She was predeceased by her beloved mother, Kathleen Millea. A time to gather and visit with Mary's family will be offered from 4-6 p.m. on Tuesday, December 22, 2015, at the Connell, Dow & Deysenroth Funeral Home, 82 Chestnut Street, Cooperstown. 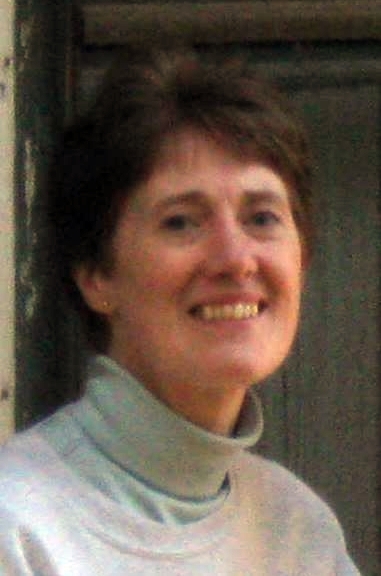 For those who wish to remember Mary with a memorial gift, her family suggests that the following organizations be considered: A tuition scholarship in Mary's name for The O'Donnell-Kelly School of Irish Dance (please contact Kathleen O'Donnell at 607-293-6199); or The Kinney Memorial Library, P.O. Box 176, Hartwick, NY 13348. COOPERSTOWN - Marjorie L. Ofer (née Betulius) passed away at Focus Otsego on December 11, 2015, at the age of 85. Her trajectory from a small farm in southern Indiana to retirement on the Upper West Side of Manhattan attests to her inviolable strength and belief in the possible. After graduating from Evansville College with a degree in education, she taught elementary school in Evansville, Indiana. Later in her career she obtained her librarian's certification. Her husband, Cosmas Ofer, predeceased her in 1979. Upon retirement she moved to New York City, where she lived for 23 years. The greatest joys of her life were her three grandchildren, whom she enculturated in New York City, Chautauqua and Europe. She is survived by her son Kurt, his wife Teresa, and their three children, Virginia, Hans and Max. A celebration of Margie's life will be held in Evansville at a later date. Memorial gifts may be made to Chautauqua UCC Society and sent to Ruth Becker, 5706 Encampment Ct., Fairfax Station, VA 22039. 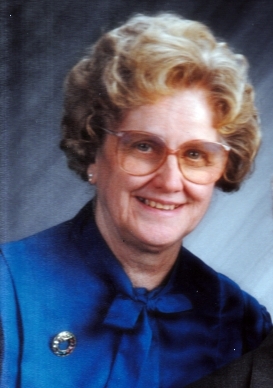 HARTWICK - Doris Powers, 92, passed away Saturday, December 5, 2015. She was born on May 24, 1923, in the Town of Hartwick, the daughter of Madge (Gregory) and Gerald Hughes. She grew up in South Hartwick, attended South Hartwick District School and graduated salutatorian from Hartwick High School. She worked at Marlette's store in Mt. Vision and was a bookkeeper at Lynn Trailer in Oneonta during the war. In 1943, she married William Powers and moved to Hinman Hollow where she became a valued member of the community and welcoming wagon for new families moving to the area. She was a member of the Hinman Hollow Grange for 72 years, a leader of the Hartwick Hustlers 4-H Club, a member of the South Hartwick Home Bureau, a life-time member of the Hartwick Historical Society, and in 1999 was named Hartwick Citizen of the Year. She was also an Election Inspector for the County and on the Co-operative Extension Executive Board. She was a devout Christian, grew up as a member of the Hartwick Methodist Church and after marriage she became a member of St. Mary's Catholic Church of Cooperstown. She was the mother of nine children, a farm wife who grew large gardens and canned her own food. 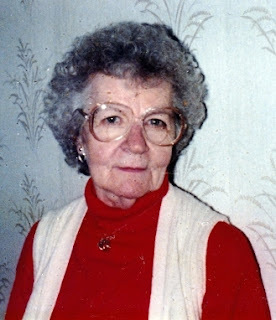 Doris was an avid reader and loved reading to her children, grandchildren and great grandchildren. She was well-known for her Chinese Checkers skills and sending your ball in croquet. She was always young at heart and was still sledding at 90. In recent years you could drive past the farmhouse and see her sitting on the porch swing watching her hummingbirds and sunsets. The center of her life, and her dearest devotion and love was for Bill, her husband and partner for 72 years. She was his bookkeeper, manager, accountant and support. When he died this past July part of her went as well. She has now joined him for eternity. Doris is survived by her five daughters, Shirley Dobkins of Costa Mesa, California, Nancy Wyant of Hyattsville, Maryland, Jean Barry of Hartwick, Annette Kalinoski and husband, Tom, of Fletcher, Vermont, and Jackie Fricke and husband, John, of Northfield, Vermont; two sons, William, Jr. of Milford, and Joseph and wife, Mary, of Pleasant Valley; 17 grandchildren; eight great grandchildren; her sister-in-law, Susan Gladstone of West Henrietta; and many nieces and nephews. She was predeceased by her husband, Bill; brother, Donald; and two daughters, Barbara and Judy. Calling hours will be at the Connell, Dow & Deysenroth Funeral Home in Cooperstown from 4-7 p.m. on Friday, December 11, 2015. The Liturgy of Christian Burial will be offered at 10 a.m. on Saturday, December 12, 2015, at St. Mary's "Our Lady of the Lake" Roman Catholic Church in Cooperstown, with Fr. John P. Rosson, pastor, officiating. The Service of Committal and Burial will follow in St. Mary's Cemetery, Index. In lieu of flowers, expressions of sympathy in the form of memorial gifts may be made to the Hinman Hollow Grange, 1049 County Highway 45, Milford, NY 13807. COOPERSTOWN - John H. Schallert, Sr., 87, of Fork Shop, passed away in the early morning hours of Thursday, December 3, 2015, at the home of his daughter, Patricia, in Kalama, Washington. He was born November 5, 1928, in Cooperstown, a son of Otto F. and Florentina (Petri) Schallert. He spent the early years of his life with his family at the Toddsville store, which they operated and lived in an apartment upstairs. The store has since been moved to The Farmers' Museum in Cooperstown. From there they moved to Oaksville where he spent the remainder of his childhood. In 1946, John married Violet Weir or "Buster" as she was affectionately known. Soon thereafter John enlisted in the United States Army and proudly served his country during World War II as a Military Policeman. He received his Honorable Discharge from the military and returned to Fly Creek. John was a logger until the 1960s, at which time he and Violet purchased Fork Shop Farm on Bissell Road in Fly Creek, which they operated until his retirement in 1995. A lifelong breeder of Registered Holstein cattle, he was very proud of the "Fork Shop" prefix granted him by the Holstein-Fresian Association of America. John is survived by two sons, John H. Schallert, Jr. and JoAnn L. Dow of Hartwick and Richard J. Schallert of Milford; five daughters, Sherlee S. Rathbone and George Anzelone of Fly Creek, Bonnie J. Eldridge and Bill Burwell of Golden Lake, Ontario, Cathy S. Rose of Burlington Flats, Patricia V.M. Schallert and Mike Phillips of Kalama, Washington, and Shelley S. Wedderspoon of Cooperstown; many grandchildren, great grandchildren; and many nieces and nephews. John was predeceased by his wife of over 50 years, Violet; a daughter, Janet Truax; a grandson, Denis James Schallert; a brother Otto F. Schallert; and three sisters, Pauline Smith, Florentine Ottaway and Minnie Moseman. Family and friends may call from 4-6 p.m. on Thursday, December 10, 2015, at the Connell, Dow & Deysenroth Funeral Home, 82 Chestnut Street, Cooperstown. A Funeral Service will be held in his honor at 10 a.m. on Friday, December 11, 2015, at the Fly Creek United Methodist Church with the Rev. Sharon Rankins-Burd, pastor, officiating. A graveside service will follow at the Fly Creek Valley Cemetery in Fly Creek with James Atwell officiating. Military Honors will be accorded by members of the Cooperstown Veterans Club and the New York State Military Forces Honor Guard. In lieu of flowers, donations may be made in John's memory to the Fly Creek United Methodist Church, P.O. Box 128, Fly Creek, NY 13337. COOPERSTOWN - Diane S. Bobnick, a long-time Cooperstown resident, passed away peacefully late Wednesday afternoon, December 2, 2015, at Focus Rehabilitation and Nursing Center at Otsego, with her family by her side. She was 75. Born April 22, 1940, in Albany, she was a daughter of Daniel A. and Dorothy (Benedict) Slover. As a young child, Diane and her family moved to Cooperstown, a place she grew to love and cherish throughout the rest of her life. After graduating from Cooperstown High School with the Class of 1959 she pursued a secretarial course and graduated from Mildred Elley in Albany. Through the years, Diane served as a nurse's aide at The Otsego County Infirmary-which later became The Meadows--as well as The Clara Welch Thanksgiving Home. She was also employed as a clerk at the Fly Creek General Store and at CVS on Main Street in Cooperstown. A member of the First Baptist Church in Cooperstown, she married her husband, Louis J. Bobnick, in a ceremony there on November 26, 1965. For the past 40 years they made their home and raised their family just outside of Toddsville. Diane will be fondly remembered as a loving and devoted wife, mom, sister and aunt. Diane will be greatly missed by her loving husband of 50 years, Lou Bobnick, of Toddsville; their three sons, Michael Bobnick of Amsterdam, Daniel Bobnick of Hartwick and John Bobnick of Toddsville; one brother, Harold L. Slover of Fairfax, Virginia; one sister, Dorothy O. Smith and her husband, Roger, of Warnerville; and several nieces and nephews, Kathy, Dan and David Slover, and Roger, Russell and Megen (Whitaker) Smith. She is further survived by her faithful canine companion, Molly, who visited her every day during her stay at the nursing home. Diane always cherished her time with family, extended family and friends. She immensely enjoyed the waters of Otsego and Goodyear Lakes surrounded by her family and friends. She and Lou loved to travel the countryside, either by motorcycle or car. She loved to collect anything with turtles. Friends may call to pay their respects to Diane's family from 4-6 p.m. Tuesday, December 8, 2015, at the Connell, Dow & Deysenroth Funeral Home in Cooperstown. The visitation will be followed by a service at 6 p.m., with Richard Sliter, Acting Pastor of the First Baptist Church of Cooperstown, officiating. Diane will be laid to rest in the Spring of 2016 in the Slover family plot in Hartwick Seminary Cemetery. In lieu of flowers, memorial donations may be made to Catskill Area Hospice and Palliative Care, 1 Birchwood Drive, Oneonta, NY 13820, or the Fly Creek Emergency Squad, P.O. Box 218, Fly Creek, NY 13337. COOPERSTOWN - Julie Hopper Fiora died unexpectedly Monday night, November 30, 2015, at the lakeside summer home of her brother, Dr. William Hopper. She was 67. Born July 26, 1948, Julie Frances Hopper was the daughter of the late Dr. Richard Hutchinson Hopper, a native of California, and Renèe May Rudd, a Swiss-educated Australian. She was born in the City of Djakarta on the Island of Java, Republic of Indonesia, during the time her father-who worked over thirty years in the oil industry at Caltex/Chevron-was discovering the Minas oilfields. As a newborn, Julie and her family moved to the Netherlands, and then several years later to the United States, settling in New York City and then Easton, Connecticut. While living in New York City, Julie attended The Brearley School on the upper East Side of Manhattan and later the University of Connecticut. On July 29, 1983, Julie married Robert Vincent Fiora, and they made their home in Ellington, Connecticut. After Robert died in 1995, Julie lived in various places throughout the northeast. Julie is survived by her brother, Dr. William Hopper, his wife Lois, and their sons Ian and Justin. She will be laid to rest near her parents in a private ceremony in Cooperstown.